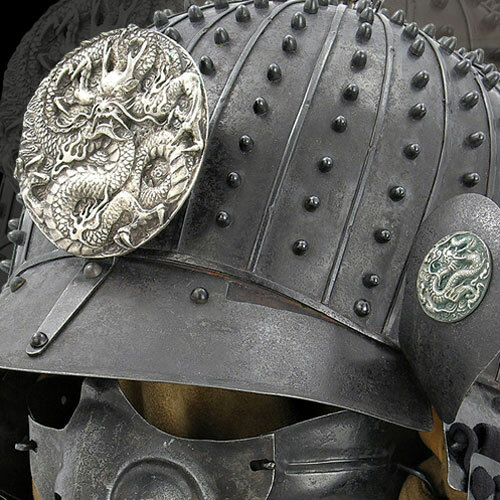 The dragon kabuto is an excellent example of a suji bachi style helmet, the bowl of which has overlapped and riveted plates and is typical of the finest helmet makers (Katchu-shi) of the Momoyama period. 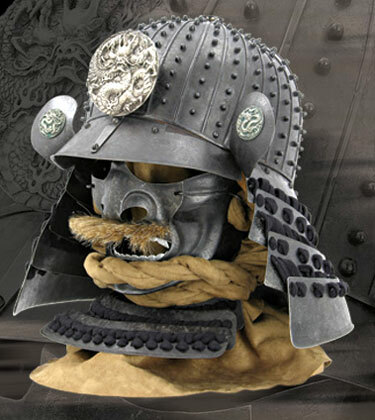 The mempo is a typical ressei men of the type made in Nara. Fully wearable, with adjustable liner. Traditional construction, magnificently detailed, made by Paul Chen / Hanwei.